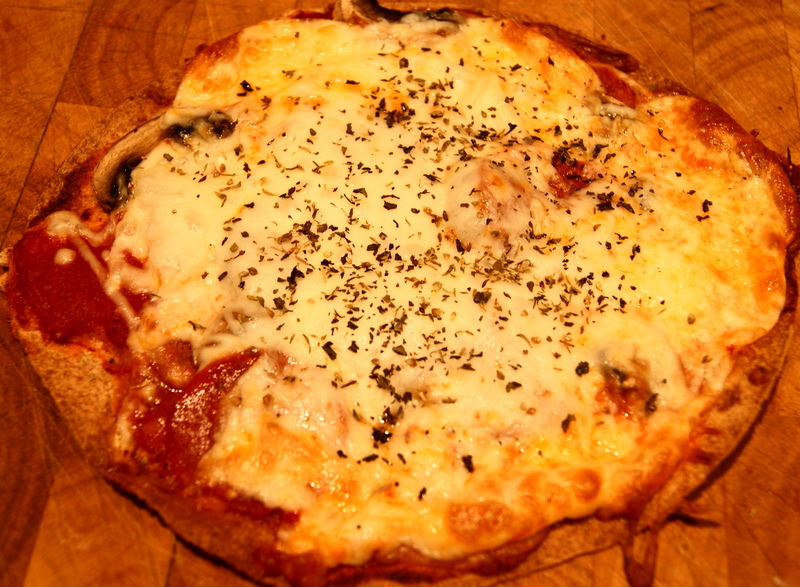 Posted on August 4, 2012 by Dad Can Cook	• This entry was posted in Recipes and tagged easy, food, pizza, recipe, Tortillas. Bookmark the permalink. I like the idea of cooking the mushrooms first. I will give your version a try. Happy creating. That looks yum! My boys would love this.